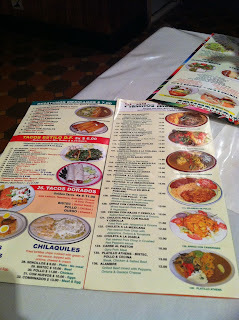 The other day we craved for some Mexican, so we walked to the beloved El Grill Restaurant near our old place. It's the best one in the hood that's loaded with really, and I mean really authentic Mexican food. 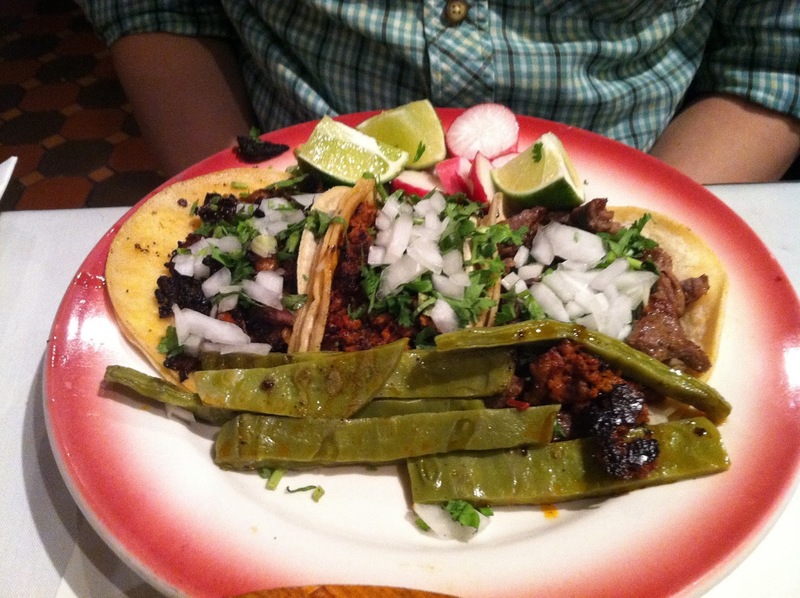 (It was also the first one I went to in terms of home-cooked Mexican cuisine). 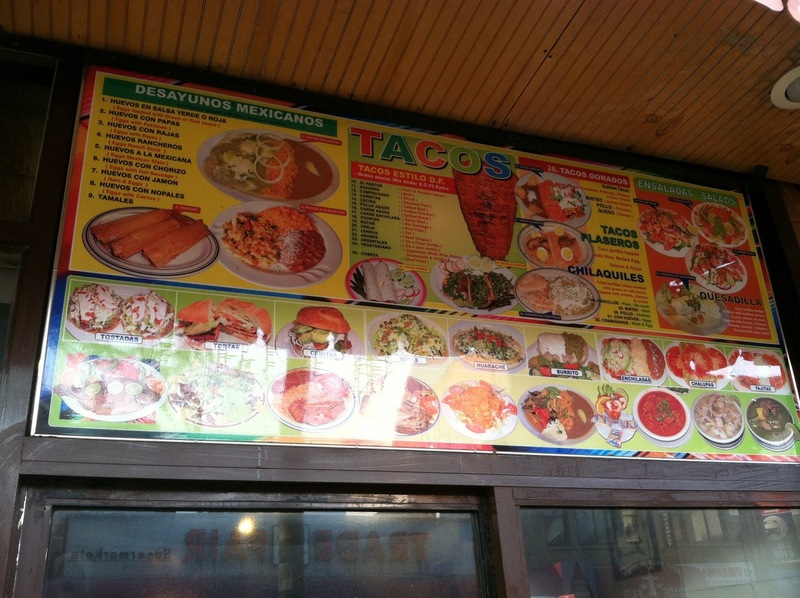 Though it doesn't look like much of a restaurant from the outside, it's actually got a lot of variety of tacos and local dishes presented on the colorful menu from the outside. There's also neat little take-out window underneath the menu where you can grab and go. 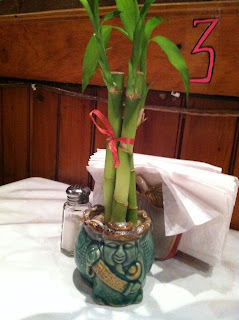 We sat at one of the tables at the end of the joint, the one with a lovely Asian bamboo from a very Asian looking pot. 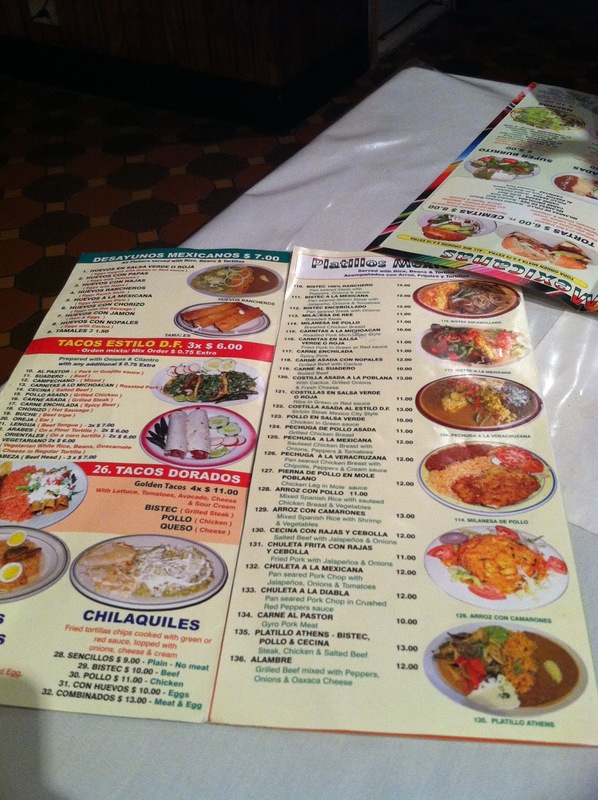 I liked how this restaurant, like Los Amigos, looks like its ready for a fiesta at any moment. 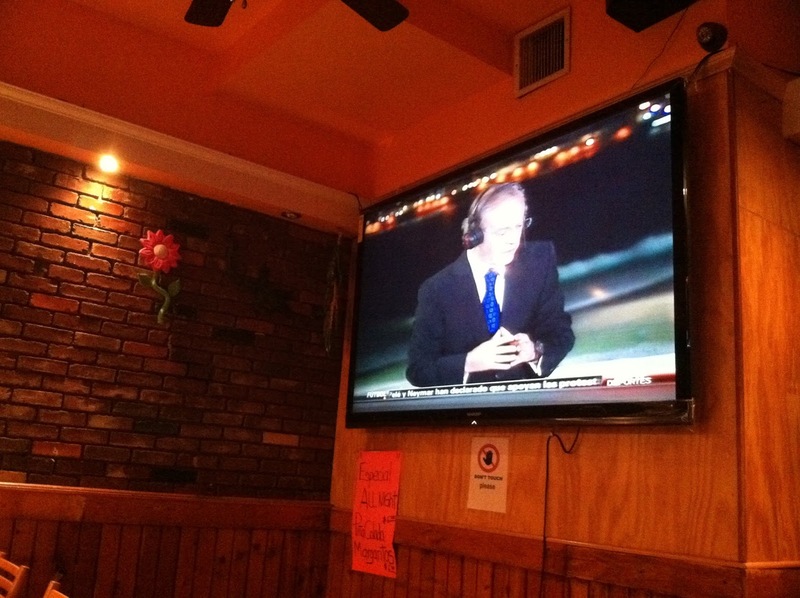 Apparently the restaurant's name in Spanish means Sports Restaurant. No wonder they blasted sports news all the time on their mega-tron (it was a really huge panel-to-panel TV). The waitress who was also one of the chefs seemed pretty busy taking everyone's order. They didn't seem to have enough hands to tend to the actual patrons of the restaurant, which was fine because we were looking forward to munch on the chips anyways. Except the chips never really came. Instead, I had to go to the counter to get it myself. The waitress had apparently forgotten about us, so when I went up she told me to grab the chips myself. Only problem was that I couldn't because it was behind a glass counter, so they brought it to us after a while. I love their chips because it's bake in-house. Really fresh and just the right degree of crunchiness. Also the salsa is not that spicy or soggy, which makes a nice pairing with the chips. We also got some Mexican coke (made with cane sugar instead of sucrose) and mango Boing! 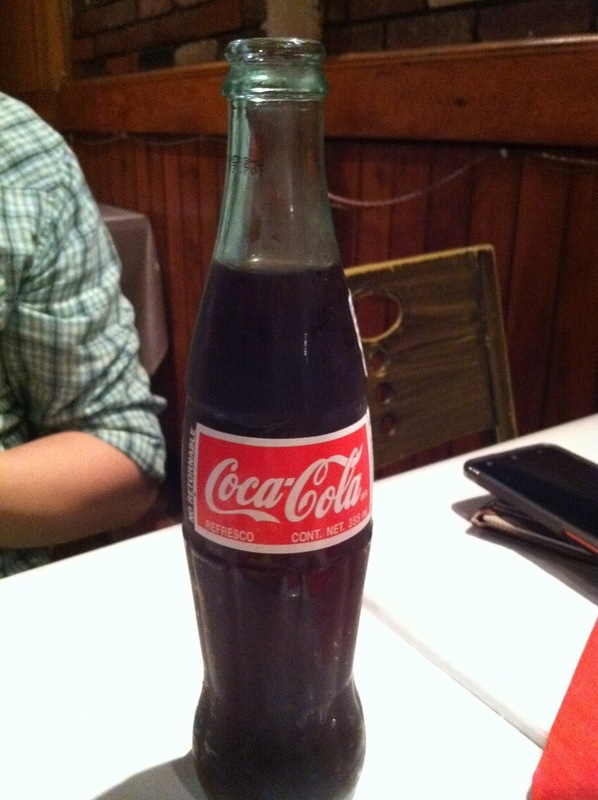 to sip along with our salsa. 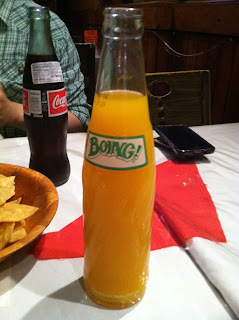 I really liked my boing pop because it was just the right amount of refreshing sweetness to munch on with the chips. My shrimp dish finally arrived 20 minutes after munching on these delicious chips. I took my first bite on a red hot pepper. True me, it was literally red, a pepper and was quite hot. I thought it was a normal pepper at first, and it tasted like such a specimen of green pepper because it was tender like one. But it packed a lot of heat towards the seedy part, and that was when I started panting for water. 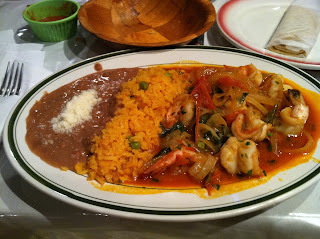 My shrimp dish looked like a jamalaya platter, with broiled skin-less shrimp embedded in a caramelized onions and red peppers in a rich bed of mystery sauce. The yellow rice was nice and soft with bits of peas tucked inside. The refried beans looked pretty fresh, unlike the recent one that I had at Los Amigos. 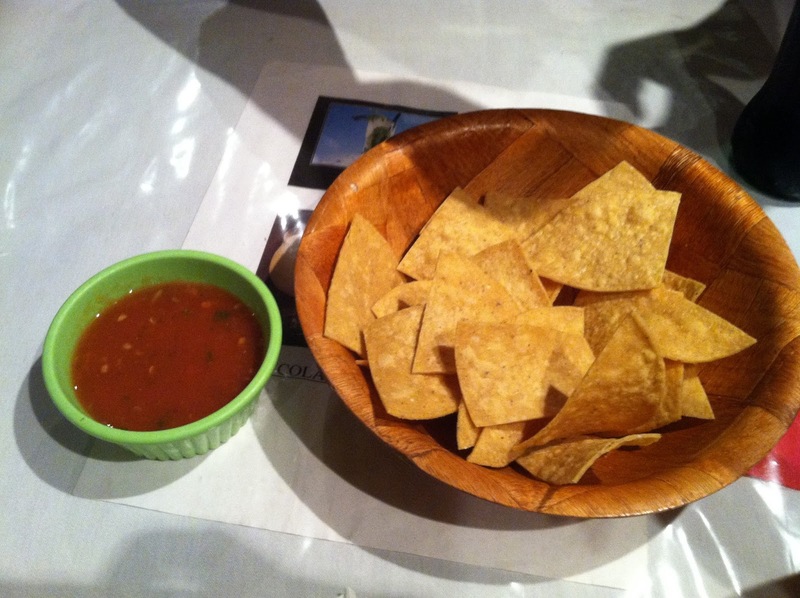 I had to ask for a second helping of the tortilla chips to alleviate my burning tongue. 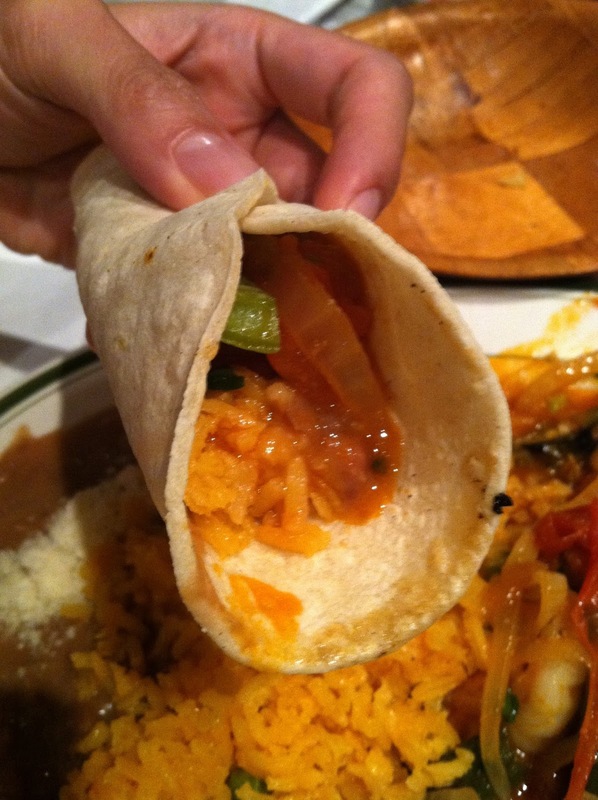 And apparently you're supposed to roll up the rice and beans with the tortillas they deposited in aluminum foil, but I didn't know that until Hubby taught me. 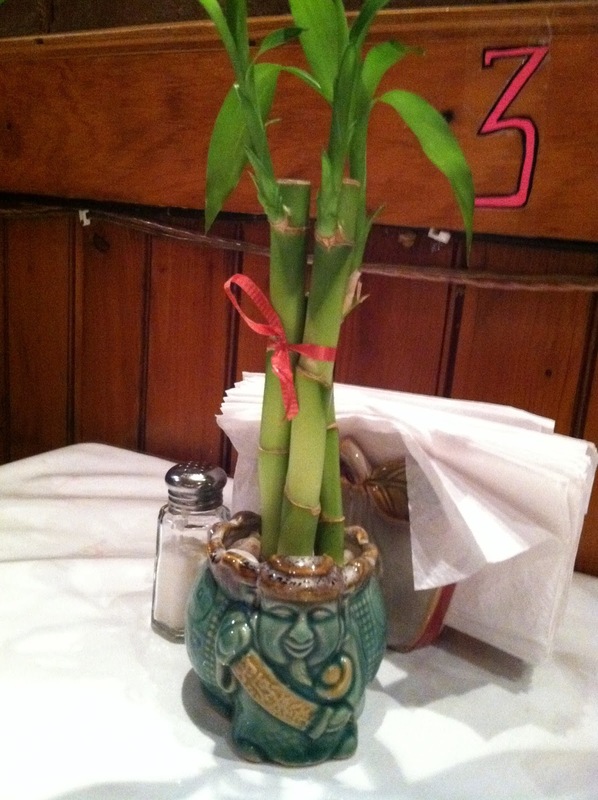 It was like a Peking duck roll without the duck. 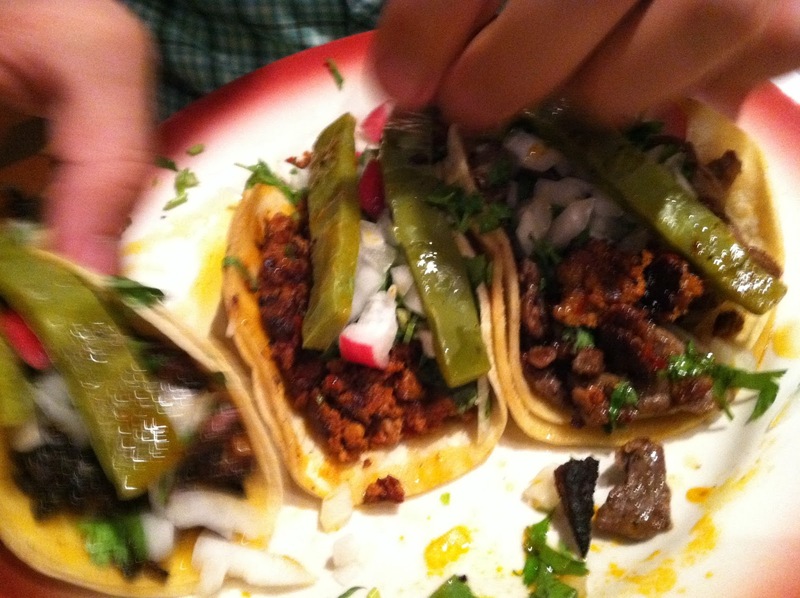 Hubby's tacos looked equally fiesta-ish as mine. Especially the fried green cactus. 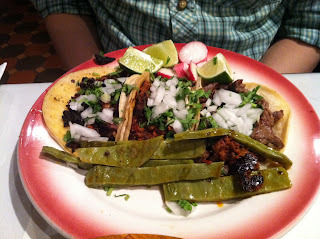 I remember having this last time we were here, and it was both crunchy and tender at the same time. I took a bite of his steak taco - so juicy and flavorful. The cactus complemented that nicely. I can't remember what the tab came to be, but it was very reasonable for the portion and quality of food. 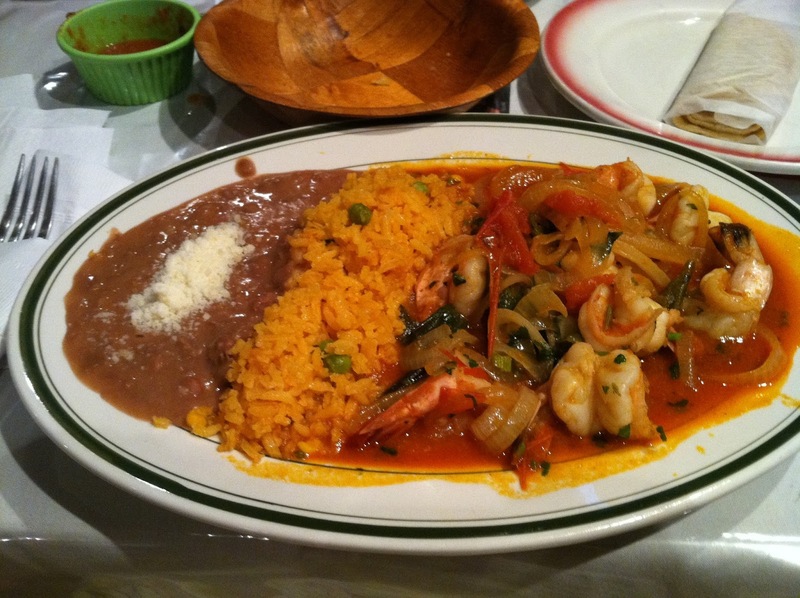 Though the service wasn't hot like their peppers, you have to come here for the food, amigo.